Holy Prophet (PBUH) was born on 12th Rabi-ul Awwal, the 50th day of the year of Elephants. His birth took place in the Arabian city of Makkah. Prophet’s (PBUH) father name was Abdullah, and his mother name was Amina. 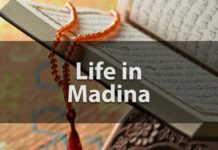 Prophet’s (PBUH) mother sent him to live the early life in the desert to learn pure Arabic. He stayed with his foster-mother, Halima Sadia for first two years of his life. He belonged to the clan of Hashim, a weak yet respected branch of the prestigious tribe of Quraish. After his mother’s demise, Abdul Muttalib brought Prophet (PBUH) up but after his death too, his uncle, Abu Talib, looked him after. Under the guidance of his uncle, he became a shepherd. Prophet (PBUH) began to show signs of intelligence and inquisitive mind at a smaller age. He loved solitude and would not involve in playful activities with his age fellow children. Once, in his childhood, Prophet (PBUH) was among the company of kids, and Angel Jibrael (R.A) isolated him. Then Jibrael took his heart and cleaned it with Zamzam. Thus Nafs-e-Amara and the evil instinct vanished forever from his heart. Bahira asked Abu Talib to take special care of his nephew. When Prophet (PBUH) was fifteen, a war was going to take place between different tribes during the Hajj season in which war was banned. Prophet (PBUH) then thoughtfully proposed the idea of table talks to resolve the war. 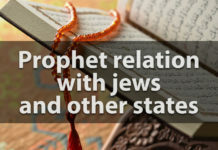 His uncle Zubair, held a meeting in which a representative from every tribe came up with his own opinion about the resolving peace and in the end the matter was resolved and Prophet (PBUH) earned a great appreciation and reputation from it. As Prophet (PBUH) continued to carry out the trade with his uncle, he received an offer from a wealthy lady known as Khadija (R.A) to take her goods for trade. She already heard a lot about Prophet’s (PBUH) honesty, and afterward, when Prophet (PBUH) used to bring her with handsome profits in business, she sent a marriage proposal to Prophet (PBUH). After the advice of Abu Talib, Prophet (PBUH) accepted the proposal and the marriage took place. The signs of Prophet’s (PBUH) diplomacy appeared when he was 30years old. The Quraishite tribes found it necessary to rebuild Ka’abah. Now all of the tribe representatives began to quarrel over the single person who will place the Black Stone. The condition became so volatile that they were about to wage war but later came to a peaceful compromise after hearing Prophet’s (PBUH) resolution. Prophet (PBUH) said that whosoever reaches the mosque the earliest in the morning, would decide the person to place the Black Stone. Next day, he was the first one to reach, and he then ordered all the tribes to choose a single representative. Upon doing so, all of them held the edge of cloth on which Black Stone was put. Finally, Prophet (PBUH) himself lifted the stone and put it in its perfect position. The social conditions were deplorable. The Arabs raided caravans and robbed highway travelers. The society was overflowing with barbarism and superstition. The blemish practices like stealing, gambling, drinking, and usury were prevalent in the society. Adultery and fornication were uncontrolled. Slavery was a common act, and the owner possessed the right of the life and death of the slave. The cultural conditions were quite good. The Arabs regarded Arabic as an expressive language and considered the completely non-Arab part as mute and dumb. The poetry of Arabs was vibrant and was written in majestic Arabic. Their chief virtues were tribal bravery, tribal loyalty, courage, honor, and glorification of the tribe. They were incredibly brave but used their courage in the wrong path of evil and grim. They had no moral or ethical value. The economic conditions were poor. Arabs lived in a nomadic manner and had no proper settlement. They kept on moving from place to place in search of pasture and water. They lived in forms of tribes, and the leaders were chosen upon the basis of wealth and bravery. Tribal disputes were common on matters like water springs, cattle herds, and horseracing. The disputes often continued for decades. Trade was the main source of the income for the Arabs. Trade caravans were sent to other countries when routes used to be safe. There was no industry or any agriculture. All women were qualified in the art of spinning yarn, but due to tribal wars, the production was nearly negligible. They were jobless and poverty-stricken. The position of an Arabic woman was inferior. They were bought and sold like they were nothing. They were treated like animals and were not given any social status. An Arab could marry as many women as he likes. Some tribes were so cruel that they used to bury their newborn daughters alive, as they considered a female as a sign of disgrace. After hearing these words from Abu Lahab, all of them dispersed. From this, point onwards the persecutions on Prophet (PBUH) and his followers begun. 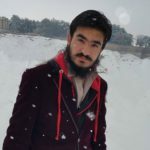 Initially, the reaction of Quraish was mildly hostile, but it gradually got bitter and more vicious. There was an old woman who regularly threw the filth and garbage on Prophet (PBUH) whenever he used to pass by the street where that woman used to live. At another instant, Prophet (PBUH) was praying in Ka’abah and a Quraishite, Utah bin Mist rolled his sheet around Prophet’s (PBUH) neck and tried to strangle him. Quraish subjected him insults, abuses, and physical assault. They launched a campaign against Prophet (PBUH) calling him a madman, a poet, and an illusionist. Stories and poems were written to ridicule him. Abu Lahab forced his two sons to divorce their wives; Ruqqaiyah (R.A) and Umm-e-Kulsoom (R.A) who were the daughters of Prophet (PBUH).When Prophet’s (PBUH) second son died in infancy, Abu Lahab rejoiced the incident and called Prophet (PBUH) “altar.” It meant a man is having no male offspring. Abu Lahab’s wife, Umm-e-Jamil used to throw thorny bushes in the path, which the Prophet (PBUH) was expected to take, every day. Abu Jahal threw sheep entrails on Prophet’s (PBUH) back, while he was prostrating once. The Quraish then changed their strategy after they were unable to make Prophet (PBUH) surrender his campaign of preaching Islam openly. They now offered Prophet (PBUH) huge amount of wealth, a leadership of Makka and marriage proposal with the most beautiful lady of Makka. In return, they sought him to abandon his mission of preaching Islam. Despite the granting of such extravagant wishes, Prophet (PBUH) rejected all of them flatly. Quraish was amazed by this and then finally decided to increase the intensity of their persecutions towards Prophet (PBUH). As the Quraish became more reluctant to accept Islam and increased the obstacles, Prophet (PBUH) decided to preach in another area. For this, he visited Valley Taif, but he was strongly resented there. He was abused and pelted with stones because of which he was severely injured. The blood ran down his body and dripped out of his shoes. Upon seeing that the Prophet’s (PBUH) activity was not obstructed despite the persecutions of Quraish, they imposed a three-year long socio-economic boycott on Prophet’s (PBUH) tribe, Banu Hashim. The purpose of this boycott was to cut off Prophet (PBUH), his followers and all the members of Banu Hashim from social life. They had to live in the narrow valley in the outskirts of Makkah known as ship-e-Abi Talib. After the lifting of boycott, Prophet (PBUH) suffered from a dual loss. Abu Talib passed away, and it deprived Prophet (PBUH) of tribal protection. After three days, Hazrat Khadija (R.A) also died due to which Prophet (PBUH) lost the moral support that he got from her wife (R.A). Finally, the Quraishites plotted to assassinate Prophet (PBUH), which led to his migration to Medina in the 13th year of Prophethood. These immigrants found a haven under the just and humble ruler, Najashi. The Quraish persecuted Prophet (PBUH) in every possible manner; morally and physically. Despite these hardships, he continued his preaching, and the largest threat to Quraish emerged when migration to Abyssinia became successful. As Quraish sent its notables to get Muslims, back but failed miserably when Najashi himself embraced Islam later on. After hearing the recitation of Surah Maryam through Hazrat Jaffar (R.A). The acceptance of Islam by Hamza (R.A); Prophet’s (PBUH) uncle and Umar, son of Khattab greatly upset and enraged the pagans. They could see the honor and prestige of Holy Prophet (PBUH) growing. They also thought that if Prophet (PBUH) would be deprived of tribal protection, then he might stop. For this, they demanded Banu Hashim to withdraw the tribal protection from Prophet (PBUH) or endure a complete boycott from social and economic life. They did not agree to give up on Prophet (PBUH) so, in the 7th year of Prophethood, all tribes of Quraish drew up a joint agreement. It enforced a total socio-economic boycott on Banu Hashim. It was also agreed to buy the goods from sons of Hasim and Muttalib neither nor sell any to them. They also decided not to marry anyone from Hashim tribe. These points were drawn up on a piece of paper, and it was hung in Ka’abah. Later that year, the boycott was imposed on Prophet (PBUH) and all his tribe members except Abu Jahal. They were forced to live in a secluded valley, known as Shib Abi Talib, located in outskirts of Makka. All the roads leading into the valley were blocked. 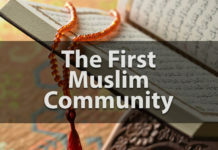 The Muslims were excluded from all social and commercial activities. They were cut from all sorts of trade dealings. No one was allowed to venture forth from the Ship except in the season of pilgrimage; when the besieged were allowed to come out. Whatever food the victims had to eat, soon finished and there was a drought in all the things. Their conditions got so worst that there was echoing of children sobbing for food throughout the valley. People fed themselves on boiled leather and leaves of trees. They also tied stones to their bellies to control the hunger. Despite the inhumane torture, the believers remained firm in their faith and did not abandon their support for Prophet (PBUH). The boy lasted for three years and was lifted in the 10th year of Prophethood. It is because some kindhearted Quraish grew tired of the boycott and the reckless torments on Muslims. They managed to have the piece of paper hung in Ka’abah, brought out for reconsideration. It was found that termites except the words had destroyed the writing: “In the name of Allah.” When the elders saw this, they immediately asked for the lifting of boycott and finally Prophet (PBUH) and his faithful followers from what seemed like eternal sufferings. After the death of Abu Talib, the Quraish increased their persecutions against the Holy Prophet (PBUH). This new situation meant that he could no longer stay in Makka, with any hope of victory. Before things became too critical, he had to explore a new place to preach Islam. In his search for a band of faithful followers, Prophet (PBUH) set out for Taif, accompanied by his adopted son Zaid bin Harith. It was sixty miles away from Makka, in an oasis city. It was a resort for the wealthy people, with lush gardens and lavish display of wealth. Prophet (PBUH) thought that the people of Taif would be more willing to hear the Diving message, but the things went opposite to his perception. Taif was populated by Bani Thaqeef tribe which as the second largest tribe of whole Arabia. Prophet (PBUH) began his journey with full hope and ambition that the people would accept him and respond well to his message of faith. Prophet (PBUH) and Zaid (R.A) then rested in an orchard, which belonged to two brothers that opposed Islam. Still, they felt sorry for such persecution on them and sent a bunch of grapes through their Christian slave. Later on, in the 9A.H whole of Taif valley embraced Islam. After the Holy Prophet’s (PBUH) failure to preach the message of faith at the valley of Taif, he returned to Makka and now shifted his attention towards the Hujjaj (pilgrim ofs) from Medina. They had come to Makka for performing the pilgrimage. It was in the 11th year of Prophethood that Prophet (PBUH) began his preaching to the Medinite pilgrims. He initially met six Khazraj pilgrims which included influential people like Swaid bin Samit, Eyas bin Muadh and Abu Zar Ghifari. These people accepted Islam and agreed with Prophet (PBUH) to preach whatever they have learnt from him, to their fellow Medinites. Because of them, the news of Islam started to spread in Medina. This was known as the First pledge of Aqaba. After the pledge was taken, a teacher was sent to Medina, Musab bin Umair (R.A). he was sent to teach the people, the doctrines of Islam, give them practical guidance. He was also instructed to preach to other tribes in the area of propagation of Islam. Because of if, in 13th year of Prophethood, a large deputation met Holy Prophet (PBUH) at Aqaba. It included 73 men and 2 women. Among them, many of them were leaders and chiefs of Medina. They were already Muslims but came to pledge in the same place, where the first pledge had taken place, at Aqaba. They showed the desire of taking Prophet (PBUH) along them. Upon hearing this, Prophet’s (PBUH) uncle, Abbas (R.A), warned them that they could only take Prophet (PBUH) along with them if they could defend him against his enemies and do not surrender in any case or better leave Prophet (PBUH) in Makka. As he is already well defended and respected in her; by his followers. Other companions of Prophet (PBUH) also stressed on the dangers of inviting him to Medina without as such security measures against Makkans. Despite the argument, the pilgrims were not deterred. The terms of pledges included that Prophet (PBUH) would be listened and obeyed in every circumstance and Prophet (PBUH) also warned them to be prepared for living a life in plenty and as well as scarcity. They must enjoin good and forbid evil and will fear the censure of none but Allah. It also included Prophet (PBUH) must be defended in any case when he would seek for their help. Furthermore, the Medinites also made some offers which included to take Prophet (PBUH) along with them, now or later as their leader of Medina. They would always protect Prophet (PBUH) and would never leave him. The new converts were even ready to fight Makkans but Prophet (PBUH) denied this idea.